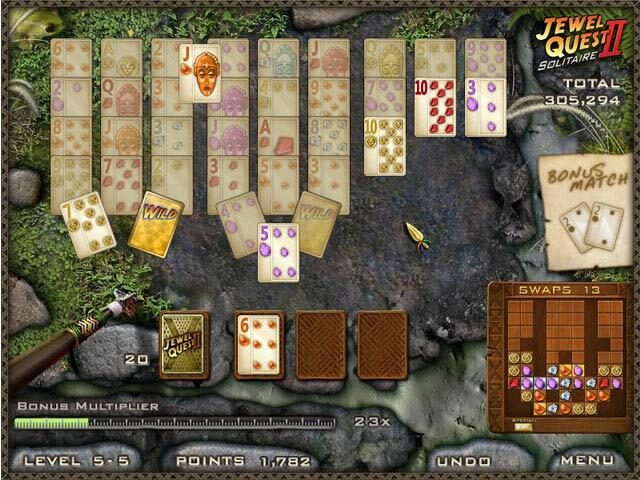 Jewel Quest Solitaire II is rated 4.6 out of 5 by 14. Rated 5 out of 5 by jacoblynn8909 from more jewel quest games please! I'm Addicted! Love this game! Can't wait for more! Rated 5 out of 5 by mcf_fan13 from Addictive I love the Jewel Quest Solitaires and keep addictively playing to beat my own scores; it is challenging, incorporates Jewel Quest, and encourages, rewards strategic thinking and play. Yes, the luck of the draw matters, but strategy matters a lot. These solitaire games are unforgiving, have played some hands quite a few times before being successful. The only thing that I do not care for is having to turn squares silver before turning gold, almost too impossible on some given number of chances. Very good and fun game! 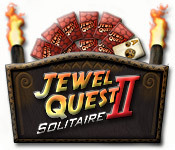 Rated 5 out of 5 by Dawnkalb from Jewel Quest Solitare II Fun game, really enjoy combining 2 game plays into one. 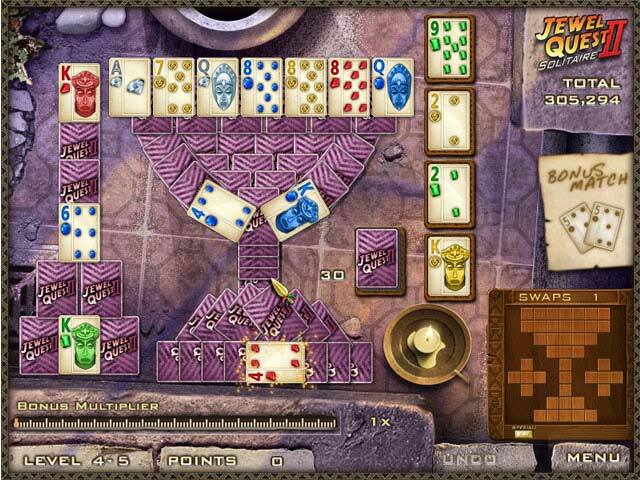 Rated 5 out of 5 by darlinbarb from JEWEL QUEST ALWAYS COMES THROUGH Such a nice twist to be solitaire and Jewel Quest gems. A must for all. Rated 5 out of 5 by ral129 from great game This game has a great mix of Jewel Quest puzzle and Solitaire. Two of my favorite games. Some of the puzzles are particularly challenging. There are lots of levels and they can be replayed as well at the end. Rated 5 out of 5 by ladycholla from Jewel Quest Series I enjoyed the Jewel Quest Series, each one. The newest was not disappointing at all. 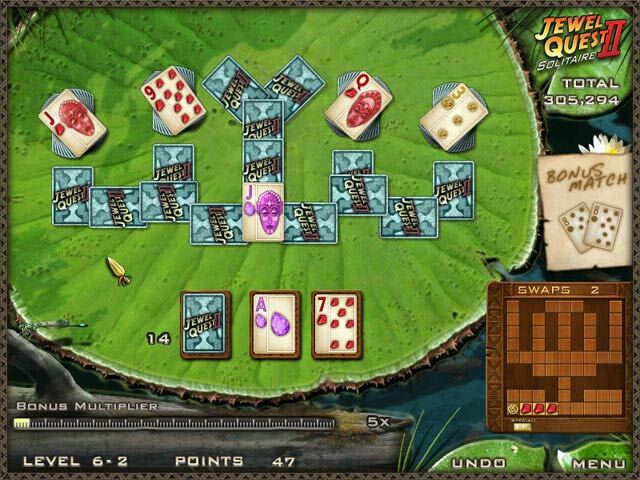 I enjoy Solitaire and since I had played the Jewel Quest from the beginning, I found these to be great fun, not a match 3, but good none the less. I play with out sound and don't read all of the story. What I read was good. For Jewel Quest fanatics this was a nice change and a good game.